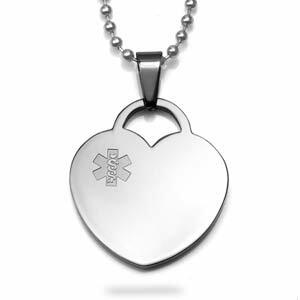 This stainless steel heart pendant has the outline of a medical symbol embossed on it making it an elegant medical alert necklace. 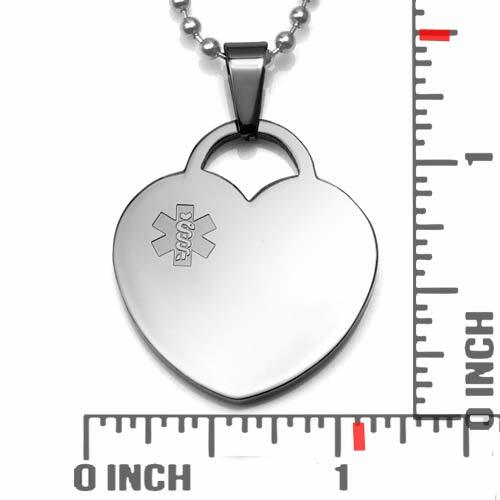 There's plenty of space to include an engraving of your medical information on both the front and back. Made with stainless steel, this fashion-forward medical ID will last for years.